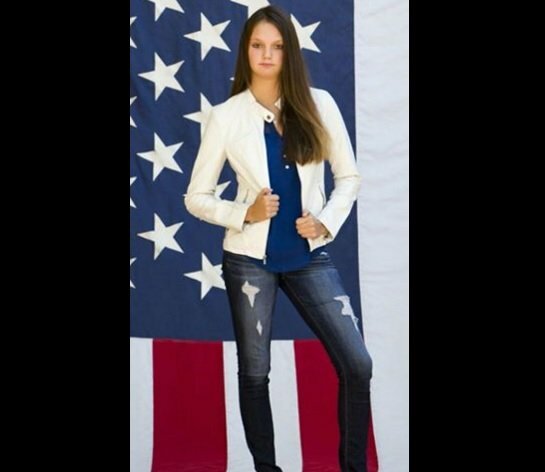 A high school senior in Massachusetts is frustrated after a photo of her featuring a US flag was rejected from her high school’s yearbook. The school said the photo was disrespectful. A high school senior in Massachusetts is frustrated that a photo of her featuring an American flag was rejected from her school’s yearbook. Morgan Truax’s boss at the Red Wing Diner, Liam Murphy, took the photo and purchased a full page ad in Foxborough High School’s yearbook to honor all her hard work. Murphy says the school is missing the “big picture” because what is in the photo is not even a flag, but a back drop.